Why not join the Association? 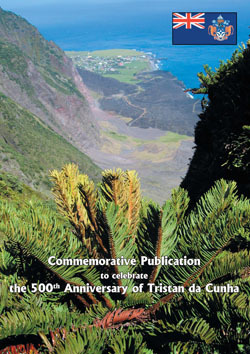 Members receive the Newsletter and get to meet people who share their interest in Tristan da Cunha. The best way to support the remote community of Tristan da Cunha is to join the UK-based Tristan Association. As a member you will receive regular full-colour newsletters, have an opportunity to attend the residential Annual Gathering, and have special offers on a range of products. As a member you will be part of an international group of Islanders, people who have worked on and visited Tristan, and a growing group of Tristan friends who support the small community isolated in the South Atlantic Ocean. Go straight to the Association Order Form to join now. New members joining for 2019 and 2020 will also enjoy a free copy of the August 2018 Newsletter in addition to twice-yearly full-colour newsletters. See Newsletter Page for content details. 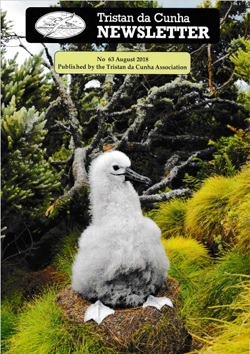 The publication is now sold out in UK, but can be ordered direct from Tristan da Cunha for £7 including Post and Packing. It is advertised on the Souvenirs Page. Are available - see the Order Form for details and ask for a quote if you require several as we will do a deal because we will then save on postage. Tristan Association products can be ordered by printing and completing the Order Form and sending it with paymemt to the Secretary. You may pay by bank transfer (preferred), cheque, or credit/debit card. The address and payment details are given on the Order Form.